Learn how to get around in the Numetric Roads environment. Clicking on your username in the top right will show you the account menu. Most users will only see "Settings" and "Sign out" unless you have been given access to multiple organizations. 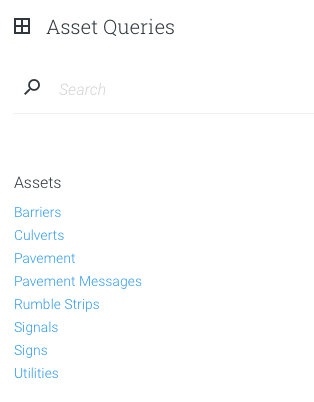 In each application, users can save analyses, designs, and queries for reference or for sharing with another Roads user. These lists are searchable (see below), and provide a quick summary of the views available to the user. The sidebar provides user tools, including quick stats, filters, and settings. Clicking on the charts in the sidebar will filter the rest of the current view. 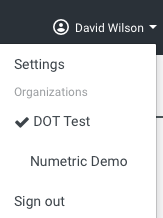 The account menu in the top-right corner allows you to chat with Numetric support and view the documentation in the help center.